Jiuzhaigou Valley is renowned for its scenic and aesthetic majesty. Its fairyland landscape of numerous lakes, waterfalls, and limestone terraces, with their attractive, clear, mineral-rich waters, set in the spectacular alpine mountains with a highly diverse forest ecosystem, demonstrates remarkable natural beauty. Jiuzhaigou Valley in Chinese is "九寨沟"
It is officially known as Jiuzhai Valley in English, but commonly translated as Jiuzhaigou Valley. Jiuzhai Valley, literally means "the nine villages' valley." In Chinese Jiu means nine, Zhai (Cun also means village) means village, and Gou means valley. Jiuzhaigou Valley is located in Zhangza Town, Jiuzhaigou County, Ngawa Tibetan and Qiang Autonomous Prefecture, Sichuan Province, China. Jiuzhaigou lies at the southern end of the Minshan mountain range, 330 km north of the provincial capital of Chengdu. It is part of the Jiuzhaigou County in the Aba Tibetan Qiang Autonomous Prefecture of northwestern Sichuan province, near the Gansu border. The valley covers 720 km2, with buffer zones covering an additional 600 km2. Its elevation, depending on the area considered, ranges from 1,998 to 2,140 m to 4,558-4,764 m.
The climate of Jiuzhaigou Valley is subtropical to temperate monsoon with a mean annual temperature of 7.8 ℃, with means of -3.7 ℃ in January and 16.8 ℃ in July. Total annual rainfall is 761 mm but in the cloud forest it is at least 1,000 mm. 80% of rainfall occurs between May and October. 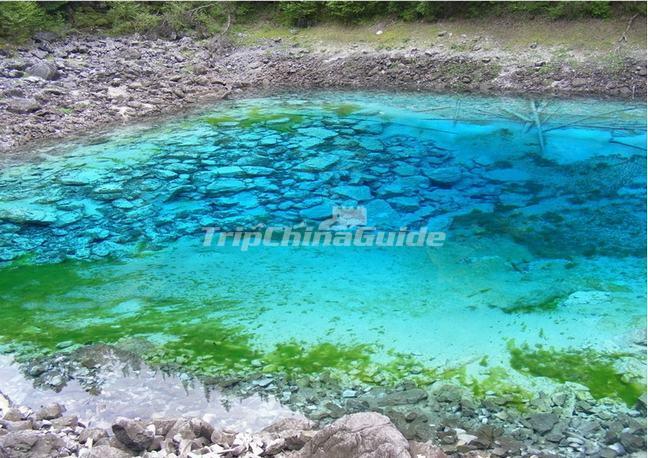 Some major tourist attractions in Jiuzhaigou Valley are: Long Lake, Five-Color Pond, Nuorilang Falls, Nuorilang Lakes, Sleeping Dragon Lake, Reed Lake, Fairy Pool, Rhinoceros Lake, Zharu Bridge, Primeval Forest, Sword Rock, Swan Lake, Grass Lake, Arrow Bamboo Lake, Panda Lake, Five Flower Lake, Pearl Shoal, Pearl Shoal Falls, Bonsai Shoal, Mirror Lake, Tiger Lake, Shuzheng Village, Heye Village, Zhima Village. The Tibetan in Jiuzhaigou Valley believe in Bon religion. Bon religion is a primitive religion which was popular with the Tibetan people in ancient times. The minorities in Jiuzhaigou Valley are Tibetan and Qiang. 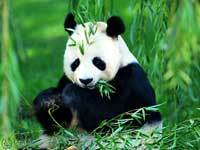 The valley was inscribed by UNESCO as a World Heritage Site in 1992 and a World Biosphere Reserve in 1997. 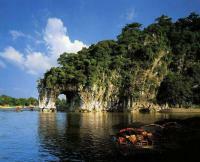 It is classified as a AAAAA scenic area by the China National Tourism Administration. The locals people of Jiuzhai Valley are Tibetan and thus speak the Tibetan language. The local Jiuzhai Valley Tibetan dialect is different to the Lhasa and Amdo Tibetan dialect of the grasslands. The 9 Tibetan Villages in Jiuzhaigou Valley are Heye, Jianpan, Yana, Panya, Guodu, Zechawa, Heijiao, Shuzheng and Rexi.